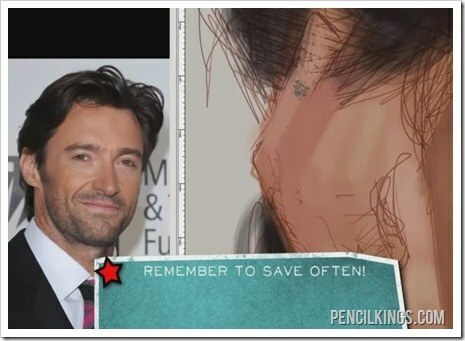 Learn to Draw Caricature: Why Saving Regularly is Your Saviour! 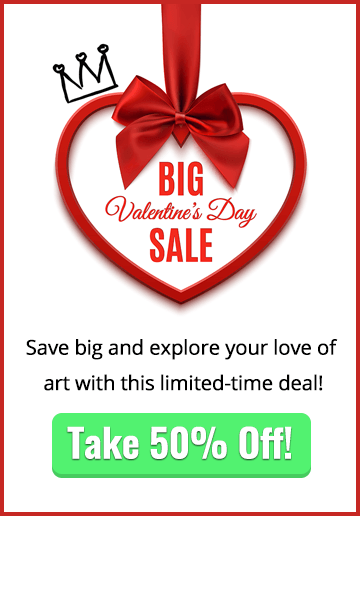 Ready to learn how to draw caricature? Having finished painting most of the face in our previous lesson, you can now zoom in and add some final details to tie your painting together. Just remember to save at regular intervals – this is especially important as you’re now near the end of your portrait and you don’t want to lose all your hard work. With so many layers at a high resolution by this stage, it will take your computer quite a while to save and you run the risk of crashing. At least if you’ve remembered to save regularly throughout this project, you can quickly go back to the stage you were at previously without losing too much work! After zooming in and out again, you’ll be able to see which areas of your painting still require a little more work, such as the ear. While this isn’t the main focus of the painting, it’s still worth adding some definition to this area to help bring your painting together. It’s a question of just hinting at the areas of form rather than going into too much detail, so just add some areas of shade and highlight to suggest areas such as the lobe and inner ear. When you learn to draw caricature, it’s useful to note how everyone’s ears are a different shape. The more you paint portraits, the more you’ll be able to take what you already know about the form of the ear and tweak it slightly to match that of your subject. 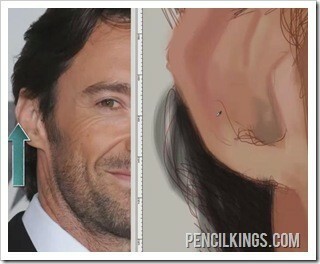 Here, you can see how Hugh Jackman’s ear points out quite prominently on the outer edge, yet there’s not so much definition on the inner ear. As you progress as an artist, you’ll begin to notice peoples’ individual features and quirks much more and see how there are all kinds of different variations to each face. Continue to re-work the ear, zooming in to add fine lines of highlight and areas of shadow, selecting tonal values in shaded areas with a hint of blue – this helps give your portrait an amazingly realistic feel. 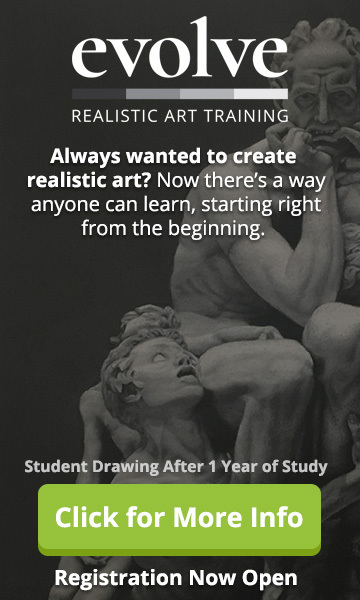 We all know how important history is in real life and it’s the same for any artist working in Photoshop. 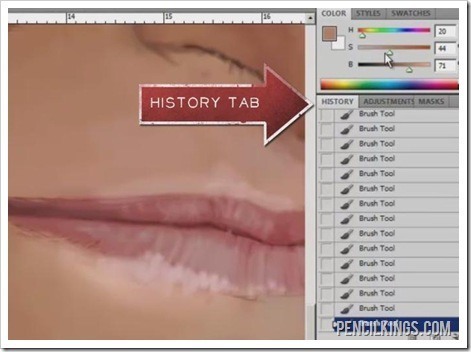 Keeping your history tab open enables you to go backwards or forwards in time and see how your painting has changed. This is a much better way of working than just pressing Ctrl Alt Z to step back, because you can get a much clearer idea of your painting’s evolution and can go back several stages at a time if you need to. Now it’s time to move back to the clothing and rework it slightly. 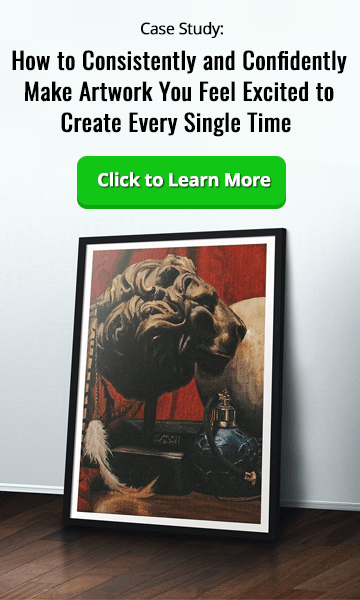 After creating a new layer, you’ll notice Giovani takes a darker shade and adds more definition to this area using the original photo as a guide. Remember that although this is a darker color, it’s still saturated towards navy rather than black, meaning the color has more depth and looks less flat. When you learn to draw caricature, using a greater tonal variety when painting darker shades will mean you get much richer shades of ‘black’ when saving your file as a .jpg. This is because the compression process used by Photoshop when saving files in this format can mean you lose definition in darker areas and end up with flat colors if you use true black. True black is the complete absence of all light – a situation you rarely see in real life because there’s almost always a source of light coming from somewhere. So, avoid using wherever possible. If you’re unsure as to whether a color you’re using is too black, simply use your color picker tool to give you an RGB reading. As long as the color values show significant amounts of red, green and blue, you should be ok. If you have to alter some areas, bear in mind how this will affect your composition as a whole and adjust other areas accordingly. Having finished with those darker shades, add some tonal variation to other parts of the clothing by applying some color to the collar. Where the light is hitting the collar strongly, add some yellow to the white to really make this stand out. Being a warm color, yellow will jump out of the painting, whereas colder colors such as blue will recede. 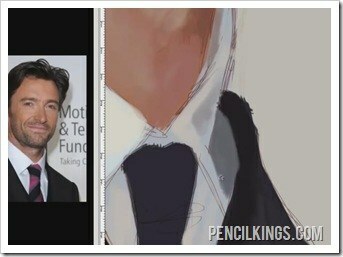 Adding some darker areas to the shirt and collar gives added definition and helps the lighter areas stand out. Once you’re done with the clothing, go back to the hair to add some fine details and color washes to add volume to this part of your portrait. Here, Giovani is using several different shades to represent how the light hits individual strands of hair. 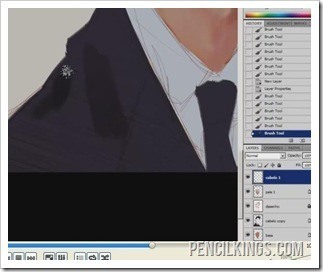 Even though you might lose some of these colors when you save and compress your file, it’s still worth adding these details because they will help give real form to the hair. Sometimes, it’s the hidden elements in a painting which contribute most to the overall effect. 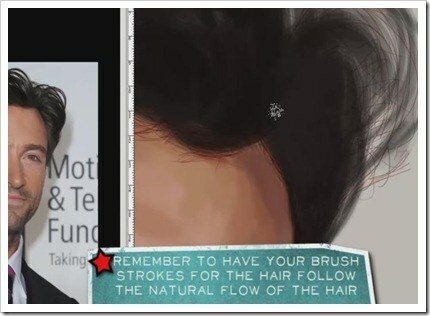 It’s important to follow the natural flow of the hair when painting it – this will give your painting an organic and more realistic feel than just applying an area of flat color. Artists such as Giovani often create a further duplicate layer for the hair and continue to build the brushstrokes up to give this area a 3D feel. 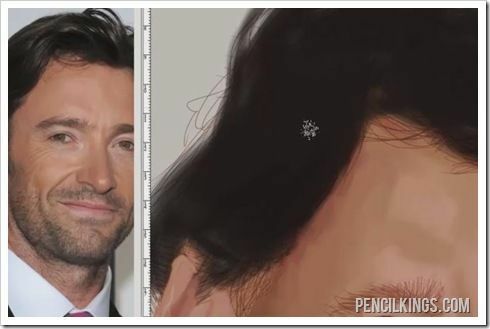 Remember to also change brush sizes for different areas, using a fine brush to draw in occasional individual strands of hair for added realism. Try to achieve the right balance between subtlety, so you end up with an overall painting that defines certain areas but leaves other areas less worked on so the viewer can fill in the other details for themselves. 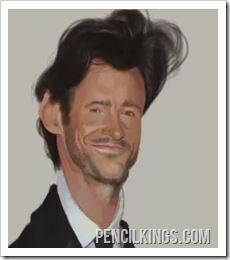 We hope this lesson has helped you learn to draw caricature. 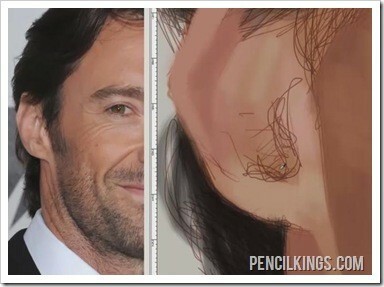 In the next lesson, you’ll discover how to add the final details such as stubble to complete your caricature painting.